We asked our interns “What would you like to accomplish in your internship this summer OR what are you hoping to learn in your OhanaHealth experience?” Check out some of their answers below! GreenLight Medical is a seamless portal for hospital value analysis of newly introduced medical technology. Their end-to-end cloud solution is designed to streamline the introduction and evaluation of new medical technology for hospitals and physicians and ensure target hospitals are equipped with the information they need to make decisions for their facility on new medical technology. 1. How long have you been with GreenLight Medical? About four months, and I have loved every minute here. 2. What is your favorite part about working with your company? The GreenLight Team. Each morning I’m fired up to come to work to be with them and innovate. 3. What makes your company unique? Our ingenious product; having mandatory fun; the team’s cohesive bond. 4. What three words would you use to describe your company’s Culture? 5. What does "a typical day" at your company look like? Grab a free coffee, tell some jokes, discuss world news, Austin tells more “funny” jokes, we have our intentions meeting. We offer help to one another to complete tasks when we can because we believe in teamwork. We time block to be efficient and focused on one thing at a time. More jokes are told. Take a break and walk around the EC or grab a coffee at Crema. Get back to it! Finally, plan tomorrow’s schedule before you leave. 6. What do you enjoy doing in your free time? Every morning I catch up with a friend over the phone while on my daily walk. After work, I love going to barre and spin classes. Of course, I am an avid Netflixer so that takes up the majority of my free time. I am from Austin, Texas, and I great up going to a summer camp where I later worked. Founded by a healthcare business leader, an employee benefit consultant and a nationally recognized surgeon, Wellview Health was built on the foundation of three individuals who understand the healthcare industry and the many burdens facing the U.S. healthcare system. The leadership team is passionate about helping individuals take control of their health by leading proactive lives and staying healthy. Wellview Health is a results-driven, predictive and preventative health organization working with both individuals and employers to deliver comprehensive patient-centered wellness solutions. Wellview Health has created a patient-centered process to help you find and address your personal health risks, modify your behaviors, and become a healthier person. I love the team that I work with and the feeling that we’re all working towards a shared goal/mission. Everyone wants to see our participants succeed and internally each other succeed. Our focus on the consumer. Our engagement model that looks at each participant’s readiness to change. Our transparency not just within the company, but also with our participants. A typical day in marketing/consumer experience includes being the first point of contact for our participants. Designing handouts, promotional flyers, slide decks, etc. Pulling reports for myself and the larger team. Collaborating with a lot of team members for information and feedback. Brainstorming new operations, campaign strategies, client-facing content, etc. I enjoy hiking. Love to read -- currently making my way through “The Brother Karamazov” by Fyodor Dostoyevsky. Enjoy cooking and finding new veg/vegan recipes. Love taking advantage of Nashville’s live music scene. I am a semi-retired theatre geek. We are so excited to announce the 2017 Summer Intern Cohort! After receiving over 177 applications from 65 colleges & universities across the nation (such as Stanford, Columbia, UVA, Wash U. & Johns Hopkins), we cannot be more thrilled for our cohort to start making an impact on the future of health! OhanaHealth is thoughtfully designed to give our students the tools that they need to become a successful and entrepreneurial minded leader in the 21st century: our cohort is full of talented, fun & unique students from all over the country; they’ll be taught & mentored by successful industry leaders; they’ll be interning at a company that is solving some of the biggest problems in healthcare; and, they’ll be living in a city with some of the best music, food, nightlife and people in the country. To say that we’re excited for you to be part of this incredible experience this summer is definitely an understatement. Welcome to the Ohana!! From Lilburn, Georgia, Jordan Moody is a junior at Vanderbilt University. She is double majoring in Medicine, Health, and Society + Women’s and Gender Studies and minoring in French. At Vanderbilt, Jordan is involved with Hidden ‘Dores, an organization that highlights and works to improve the experiences of students of color on campus. She is also involved with Navigators, a campus ministry, and VUDU, a women’s ultimate frisbee team. When she is not busy studying or working on a research project, Jordan can be found reading in an eno or throwing a frisbee on the lawn. Off campus, she can be found exploring all of the great food, coffee, and music that Nashville has to offer. Originally from Nashville, Corey is a junior at Baylor University in Waco, Texas. He is pursuing degrees in Baylor Business Fellows, Finance, Economics, and Religion, and is minoring in Mathematics. At school, Corey is a senior analyst for the Baylor Angel Network, which is a platform for entrepreneurs of high-growth startups to receive angel funding. This program is the only one of its kind in the nation for undergraduate students, and has been extremely successful with over $10 million invested over the eight years of the program’s existence. In addition to the Baylor Angel Network, Corey is involved with KLIFE ministries, Kappa Omega Tau fraternity, and leads a community group at his church. Corey is a devoted fan of Chick-fil-A, and counts his status as a Waco Chick-fil-A A-list member among his top achievements. He also loves the outdoors and will take any opportunity to go fly fishing on a new river. From Orlando, Florida, Ellie is a junior at the University of Virginia. She is a student in the Frank Batten School of Leadership & Public Policy, pursuing a double major in public policy and global public health. On campus, Ellie represents the Batten School as a trial judge on the University Judiciary Committee, the primary student government body at UVA. 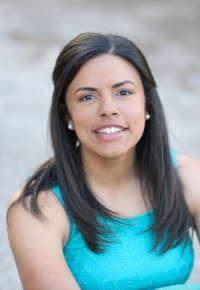 She is also a group leader for sophomore girls through InterVarsity, a faith-based organization. Additionally, she is involved with the NoTones acapella group and Chi Omega sorority. In her free time, she loves spontaneous road trips, outdoor adventures, and concerts. You can find her hiking, playing tennis, or hanging out with friends. A self-proclaimed ice cream connoisseur, she will shamelessly drive for miles to find the best desserts. Born in Honduras, raised in Italy for 9 years, and most recently from Aurora, CO, Jill brings an international and diverse background to ohanahealth. As an incoming senior at Stanford University, Jill will be completing her degree in Human Biology with a self-designed concentration in Social Entrepreneurship to Mitigate Global Health Disparities as well as a minor in Management Science & Engineering. She hopes to contribute to the development of the intersection of health, innovation, and entrepreneurship. On campus, Jill is co-president of SAID, Stanford’s Association for International Development, and is involved in organizations such as SENSA, the student social entrepreneurial group on campus. Jill is also on the Stanford School of Medicine’s Center for Innovation in Global Health student council, and plans events to bring undergraduates awareness of innovation in healthcare and medicine. In addition to organizations, she is involved in her sorority, Chi Omega, as the external social chair. She currently lives in the Italian house on campus, and says her favorite part of the experience was getting to know her roommate (also is part Italian), who is now best friends with her. Next year she will be the community manager of the German house and is excited to host events such as beer & pretzels. You can catch Jill hiking, blasting music, buzzing around to meet new people, or trying to catch-up on movies / shows of the year. Carolyn is a third year at the University of Virginia. She is enrolled in the McIntire School of Commerce, UVA’s undergraduate business program, through which she will pursue a concentration in Accounting while simultaneously continuing her study of Economics. At UVA, Carolyn serves as a Support Officer for the Honor Committee, an organization dedicated to promoting and preserving the school’s Community of Trust. As a Support Officer, she functions as either an investigator or advisor on relevant cases. Carolyn is also involved with Reformed University Fellowship and serves as Treasurer on Chi Omega’s Executive Board. A resident foodie, she can frequently be found cooking, drinking coffee, or trying out the newest restaurant in town. With a nearly constant view of the Blue Ridge Mountains, Carolyn loves spending time outdoors and spending quality time with friends. The Avett Brothers, Drew Holcomb, and John Mayer typically constitute her most recently played list on Spotify, and as a Nashville native, Carolyn is excited to be back in her hometown this summer. Hailing from Richmond, VA, Ashwin is a junior at the University of Virginia (UVA). He is pursuing a B.A. in Applied Statistics, with a concentration in Biostatistics. He plans on obtaining an MBA in the future and working as a healthcare consultant. On campus, Ashwin is a Resident Advisor for freshman, providing guidance and a support system to students as they transition into their first year at the university. Moreover, he is a Research Assistant in a psychology lab, aiding fellow RAs, lab heads, and Ph.Ds in studying their research, namely by performing studies with children, inputting information, and analyzing data obtained from the studies. Ashwin is also a member of the Jefferson Literary and Debating Society, the oldest debating society in the United States, as well as a member of One in Four, an all-male sexual assault prevention and survivor support advocacy group at UVA. Lastly, Ashwin is a Student Ambassador on campus, working to establish connections, provide enrichment and spread UVA’s tradition of service to incoming students, parents, and alumni of the university. Ashwin loves all genres of music (follow him on Spotify at am7gc), but is currently vibing to Migos and Ed Sheeran. In his spare time, you can catch Ashwin reading, working out, binge-watching Netflix, playing tennis, keeping up with current events, hanging out with friends, or just being a goofball. Born and raised on Cape Cod, Lydia is a rising senior at Rice University in Houston. She is double majoring in Art History and Cognitive Sciences with an emphasis in Neuroscience. Lydia is the general manager of Rice Bikes, a full-service bike shop operated by Rice students. Along with bike repairs and rentals, the shop also offers monthly rides, outreach events, and garage band nights. Lydia is also very involved with Rice’s Student Center for the Arts. She was the inaugural co-chair of the student committee, where she worked on organizing pop-up gallery events around campus. She is now the marketing coordinator and enjoys thinking up new ways to engage the student body with the arts at Rice. Lydia goes everywhere with her headphones and a big travel mug of coffee. She enjoys discovering new artists and seeing live music. In her spare time, Lydia likes to explore Houston, especially cheap eats, museums, used bookstores, coffee shops and record stores. She stays active with a variety of activities ranging from boxing to yoga. Born and raised near the sanding beaches of Florida and in the theme part capital, Alex is a grad student at Auburn University. She is dually pursuing an MBA & MSF. She obtained a B.A in Psychology from Auburn University in 2016. War Eagle! During Undergrad, Alex co-founded a mental health awareness organization, Active Minds, that focused on changing the conversation about mental health utilizing the student voice. Alex was on the leadership team, and Director of the past 2 Mental Wealth Weeks, where events were planned to create ‘wealth’ in positive thought, action and mental health awareness;, to inform the student body about mental health and inspire a community of support, and to inform mutually beneficial relationships amongst the various organizations to promote a healthier lifestyle for all Auburn Students. Outside of these, Alex was involved in the Honors College, Welcome Week events, and a member of Tri Delta. Now, she is involved in the College of Business, works in the Office of Advancement and is still involved with Active Minds. Alex loves country music and you can find the Highway always on in her car. She loves all water related activities, from scuba diving and fishing, to wake-boarding and tubing. Alex has a deep love for traveling and adventure, Mexican food (tacos and margaritas), and dancing. Originally from Toronto Canada, Sarah has ventured down south to New York city where she is currently a sophomore at Columbia University majoring in Neuroscience and Behavior. She is also on the pre-med track. At school, Sarah is a member of the NCAA Division 1 Cross Country and Track teams where she specializes in the 1500 meter event. At home, she volunteers as an assistant Taekwondo instructor, in which she has her second degree black belt. When not running, she’s probably looking for new recipes to try or is listening to some sort of musical theater soundtrack. She is also willing to do almost anything that involves good coffee or brunch. Meet Health:Further, a community focused on bettering health that meets for the annual Health:Further festival. As one of OhanaHealth’s sister companies, Health:Further is the perfect way to join a community of people who all look to bring Health:Further… no pun intended ;) Check out what the Community Editor, David Shifrin, has to say about the Future of Health HERE.